My husband hired Ms. Jafari to do our sponsorship. He had been to two lawyers who told him it would not be approved. She explained why they thought it won’t be approved and what we could do to prove our relationship, mainly that there was a 35 yr age gap between my husband and I and we did not have regular communications by phone, email or these modern applications like Viber. She was very specific about the information she wanted from us and the documents we had to gather to prove our relationship. I thought she was being too tough at first but soon realized that she cares and wants to make sure it will work. I would never have known to do the type of things she had us do in order to prove the genuineness of our relationship. I am very grateful for her help and diligence. We were approved in just 7 months and with no interview! I was represented by Pantea Jafari on an emergency “stay application”. I was being deported when I ought to have instead received permanent residency because I had a Canadian wife and Canadian children. She was exceptionally impeccable in the courtroom defending me like a good lawyer should. She fought my case for me as if I’m her own blood. She’s very good and it was an incredibly phenomenal experience to have her as my lawyer. Let me express my gratitude on Jafari Law team, especially my excellent lawyer Pantea Jafari. After my refusal letter from the Visa Post, I was very disappointed. However, due to her great responsibility, professionalism and sensible approach to my application my whole family is in Toronto as Permanent Residents. Once more, thank you very much for your support and great job. Your time, efforts and courtesy are appreciated. I have great appreciation for Jafari Law. They took on our lawsuit that had dragged on for 5 years with no result, and was headed to a lengthy and costly trial. Jafari Law’s professional team brought the case to settlement in less than 8 months. Their hard and non-stop work created such a result. 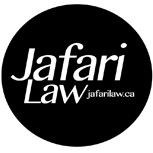 We strongly recommend Jafari Law and they will always be first on our list for any legal work. I am a tutor in China. I have a lot of students who want to come to Canada to study. They tell me that Ms. Jafari has been exceptional in explaining to them their options and helping them prepare the necessary documentation. Her approach leads to success. I recommend her to all my students and anyone else looking to achieve success in their immigration needs. I was lucky enough to have met Miss Pantea Jafari who worked on my case in 2012. She is a knowledgeable attorney and a pleasure to work with. Throughout the few months that I was going through the process I felt confident that my case was being handled by the right person. She made sure I understood the process and my legal rights. She and her team are pleasant to work with; they care for their clients’ well-being and rights. I would gladly recommend Miss Jafari to anyone I know as they would benefit from her expertise.